by appointment on a reference-only basis. information on Dame Cicely Saunders. The Librarian is responsible for the Bookshop at St Christopher’s Hospice, which contains core publications on palliative care, mainly published in Great Britain.Various publications, available from the Bookshop and Library, give a full account of the history of this hospice and of its founder Dame Cicely Saunders. The information in this section will be expanded over the coming months. The Library service is available to staff and in-house students. Anyone else who would like to visit the Library or Bookshop in person, is asked to first please contact the Library by email on library@stchristophers.org.uk. The Library is open from 9am to 5pm, Monday-Friday on a reference only basis. 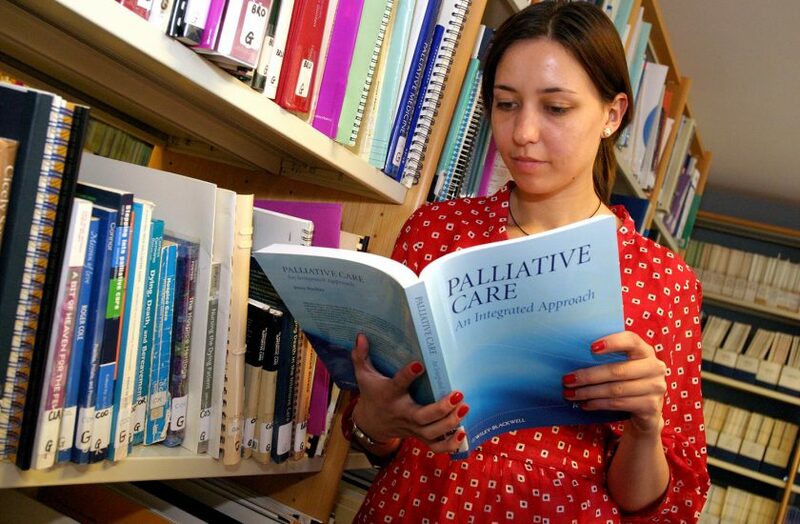 The Librarian can provide advice and guidance on palliative care resources. Selective literature searches from the in-house database can be provided for a small fee. A limited photocopying service is also available for a fee.